Spring is a great time to refresh your home! 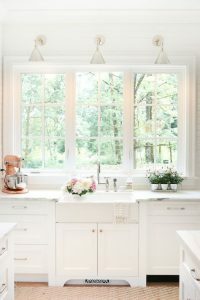 We all know that upgrading your home takes some serious time and serious money so we broke it down for you, room by room and suggested little tweaks here and there that will give your home a new and upgraded look. Living Room: Revive your living room by rearranging your furniture. 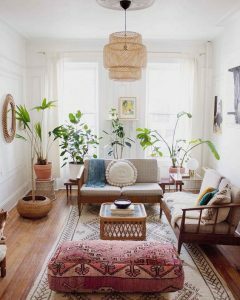 If you have already maxed out on layout options then add a new houseplant, mirror, or rug to brighten up your living room. You’ll be surprised with how much cheer comes along with a new houseplant. Don’t forget to dust! Bedroom: Nothing feels better than new, clean linen! Celebrate and treat yourself with pure linen sheets. Add a few new toss pillows to incorporate more texture and color. 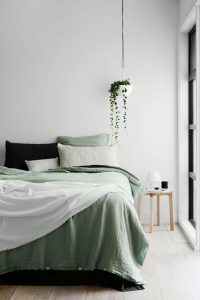 Your bedroom will look and feel good as new. 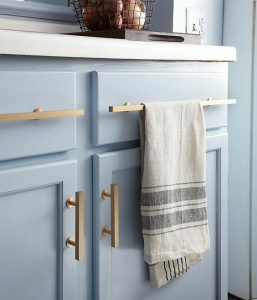 Kitchen: Revitalize your kitchen by sprucing up the hardware on your kitchen cabinets. Whether they’re knobs or handles, this small change can really make a difference. Update your metal knobs with glass ones or add a splash of metallic with bronze handles. For an easy swap, make sure your new hardware is compatible to your original screw holes. Dining Room: Sometimes all you need are new brightly colored placemats and/or tablecloth to ring in the new season. 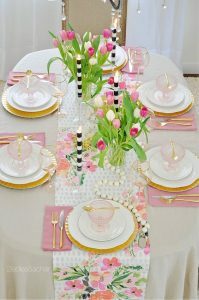 Freshen up your dining table decor with candles and a vase full of fresh tulips. 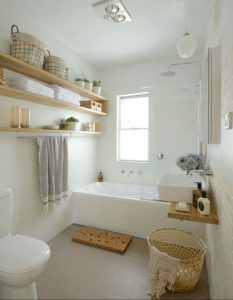 Bathroom: First and foremost, you can’t rejuvenate your bathroom without a thorough cleaning, top to bottom. Next, add some new linen to your bathroom. New hand towels, guests towels, a bathmat, or shower curtain. If you want to change up your bathmat, consider a bamboo mat. It’s more sanitary than a traditional bathmat because the water doesn’t soak into the mat, resulting in mold and mildew. A bamboo mat is also low-maintenance since you don’t have to throw it in the wash.